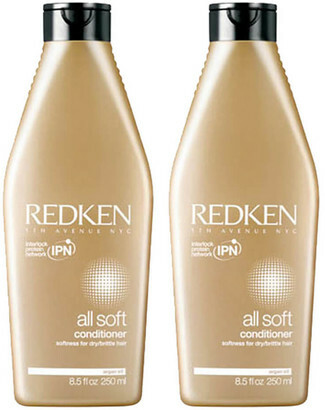 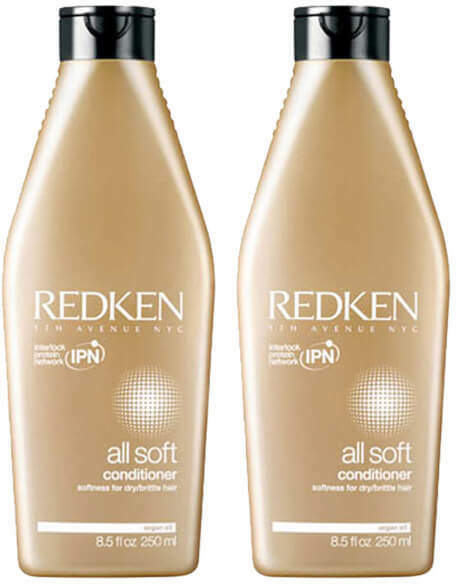 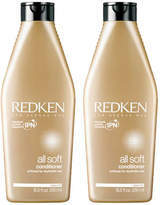 Duo Redken All Soft Conditioner smooths, detangles, nourishes and controls frizz for shiny, touchable hair. 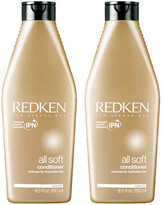 Key Ingredients: • Silk- Luxe Complex • Gold Camelina - Adds Luminous Shine • Avocado Oil - Provides Silky Softness • Olive Oil - Inside-Out Conditioning • Silk Amino Acid - Helps Strengthen Why It Works: Advanced silkening formulas contain Redken's exclusive Interbond Conditioning System and illuminating Silk-Luxe Complex to provide dry hair with intense softness, replenishment and strength. 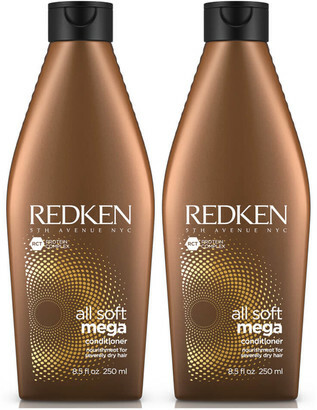 Hair is wrapped in softness with increased manageability, movement and luminous shine.